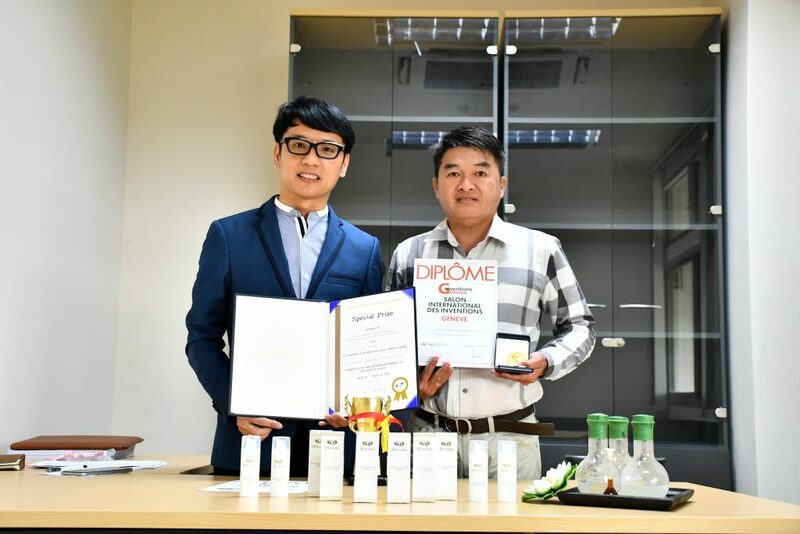 Researchers at Rajamangala University of Technology Thanyaburi (RMUTT) wins gold and special prizes at the Geneva International Research Contest Switzerland for successfully inventing the “Sacred Lotus Stem Cell” to create value of Thai medicinal plants by pointing out the benefits in skin brightening and wrinkles fading and continuing to progress into cosmetic products for both in Thailand and abroad. 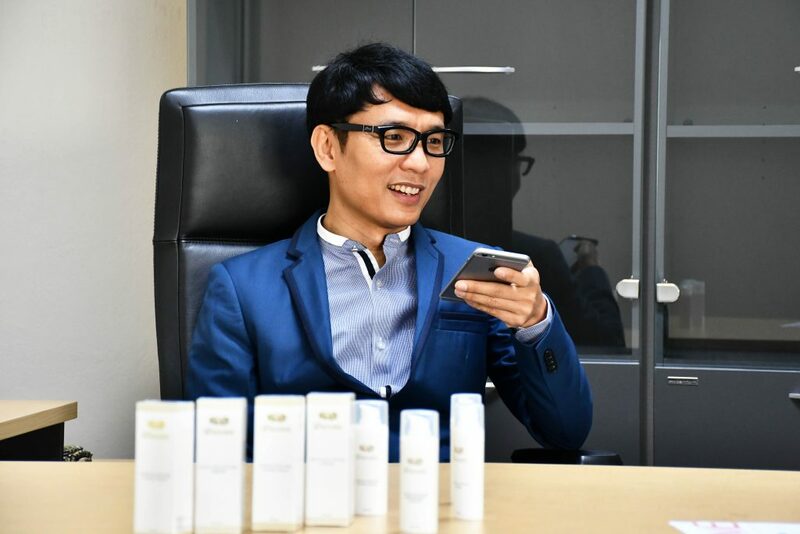 Dr. Chanai Noisaeng, Deputy Director of Institute of Research and Development, Lecturer of Thai Traditional Medical College, Rajamangala University of Technology Thanyaburi (RMUTT), the owner of the work, reveals the studies of stem cell from the sacred lotus to be used in the development of innovative beauty cosmetics. The reason for selecting the sacred lotus for research is because the plant has been used as a medicinal ingredient for Thai people for long time and also the food of Southeast Asian people for centuries. The lotus flower is also a symbol of purity in Buddhism and Hinduism. Almost all parts of Sacred Lotus can be used to extract bioactive substances as an ingredients in cosmetics. However, there are still limitations in the matter of raw materials as the cultivation process of Sacred Lotus is likely to be contaminated with chemicals or pesticides. From the searching through Thai folk wisdom, it is found that the lotus has been traditionally used for its benefits in beauty aspect. Therefore, the research is conducted by growing the lotus stem cells that are not contaminated with toxic substances and heavy metals. The grown sacred lotus tissue was then extracted to obtain bioactive compounds as cosmetic products in the form of emulsions. The compounds have the properties to inhibit the activity of elastase enzymes, which helps reduce wrinkles, tyrosinase and dopamine, which helps to increase skin brightness and does not cause skin irritation. And also has stability under various temperature conditions for 2 years. 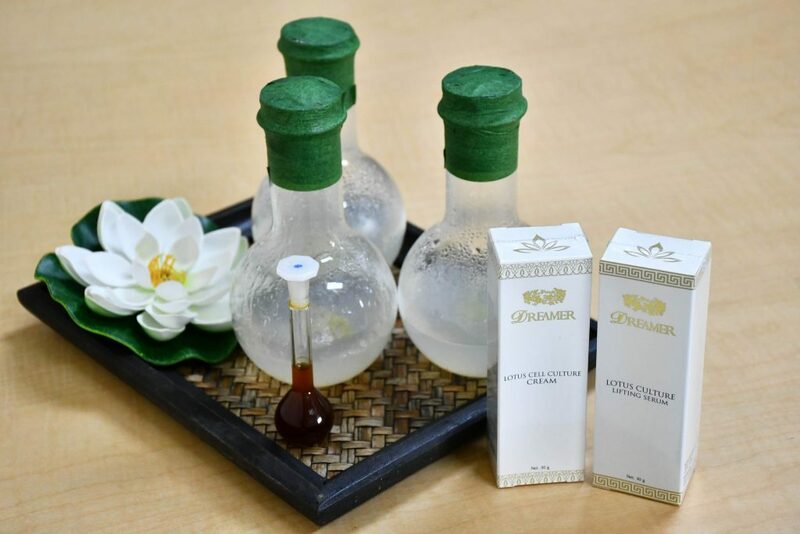 “The highlight of the products from the Sacred Lotus stem cell can be divided into 2 main groups. 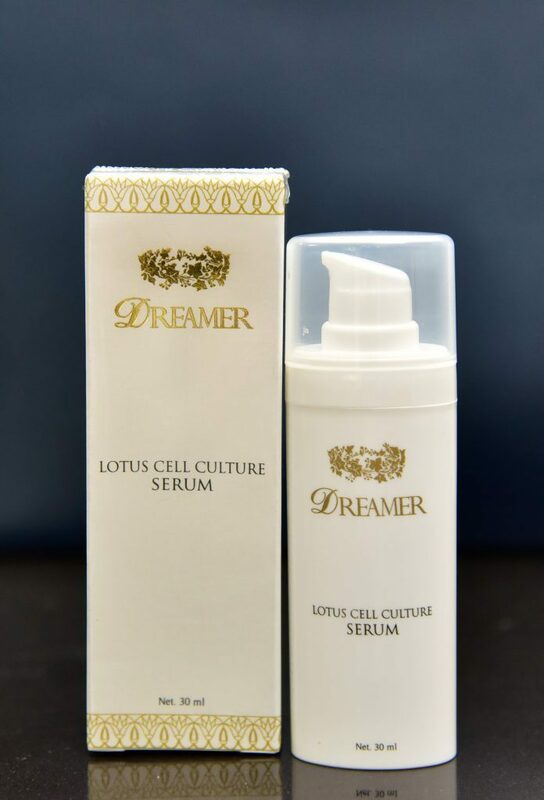 One is the whitening products such as Lotus Cell Culture Serum that helps nourish the face and neck, and help with skin clarity which is suitable for Asian in hot weather and those who wear makeup. Another product group is Firming, such as Lotus Archer Recreator, a complex that nourishes the face and around the eyes, which help make the wrinkles look shallower, more smooth and retain water in the skin like natural moisturizer. 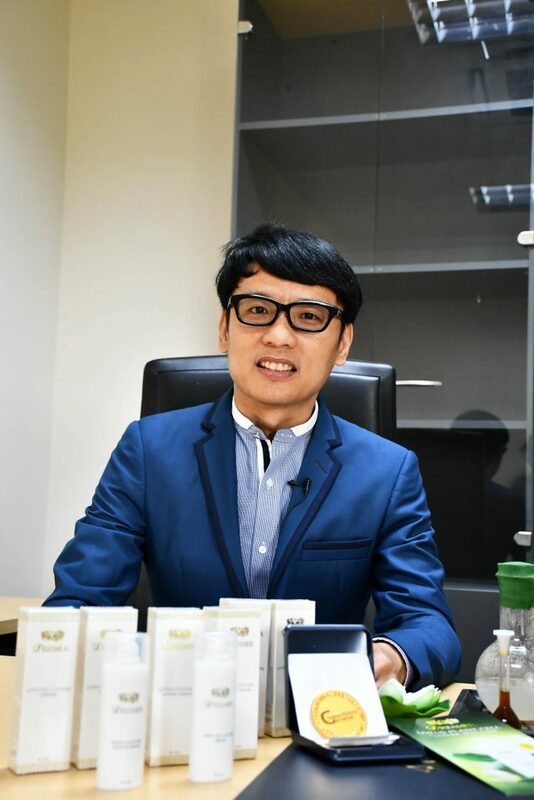 Dr. Chanai says that the results from the researches are to be used for commercial purposes, expanding to be an innovative cosmetic products from Sacred Lotus stem cells. By collaborating with companies, the products are manufactured and distributed under the brand ‘Dreamer’ domestically and internationally. Especially the Middle East countries like Dubai, United Arab Emirates, which has well responded by selecting to use in the spa business for health and beauty, including China and Laos. 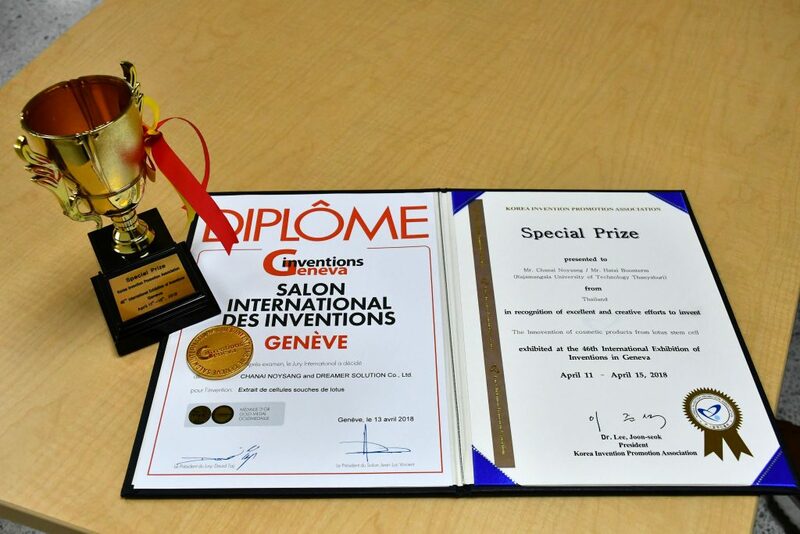 Lastly, this breakthrough is also entered the contest and wins the Gold Medal from the 46th International Exhibition Invention Geneva, as well as the Special Award on Stage from the Korea Invention A Promotion Association held in Geneva Swiss Confederacy. 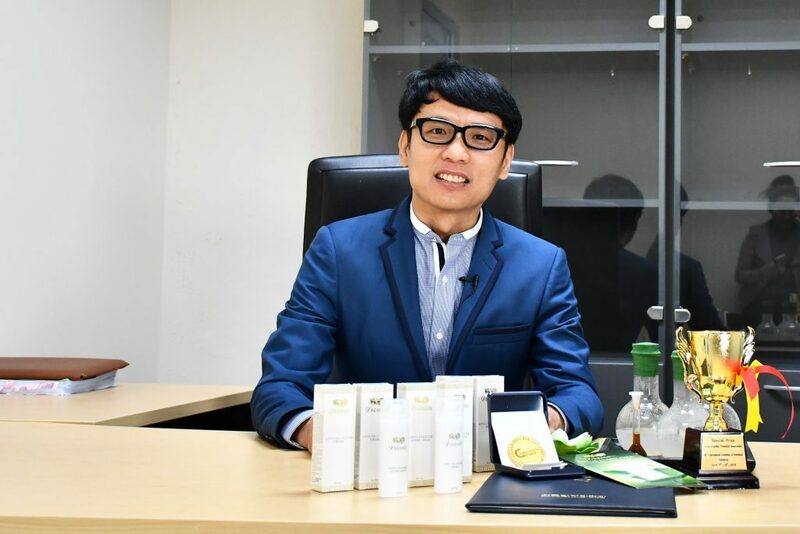 “Creating value for Sacred Lotus from research to become a cosmetic product through scientific and technological processes, entering contests and receiving international awards will ensure consumers of its quality and hoping that Thai medicinal plants will be more widely known, ” concluded Dr. Chanai. This work is in the process of registering the protection of intellectual property. For more information, please contact Tel. 095-736-9577.